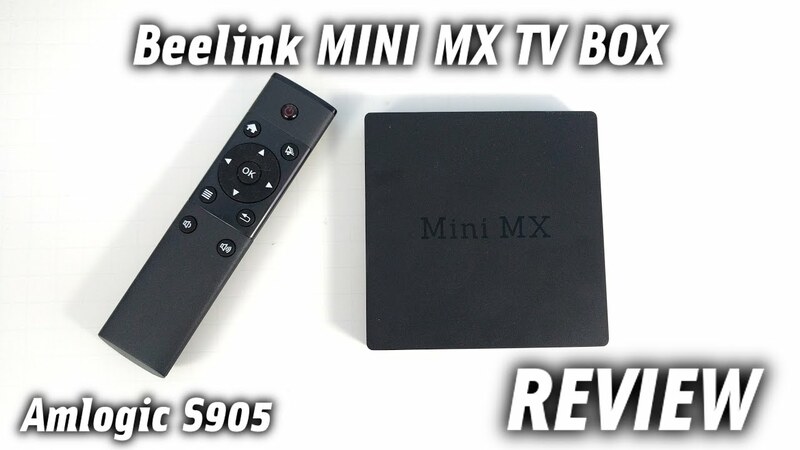 This is my impressions / take of the S905 based Beelink Mini MX. I had good hopes from this device, in that it'd have overcome previous downsides. However, we have mixed results. The Device comes with a Remote, Power Adaptor and HDMI Cable along with a Manual. There is no OTG Port so, the cable is not included. The remote is more simplified and resembles that of Roku. This device is next version of Beelink's S812 based S82 Device. The AV Port and the OTG Port are gone. You now have 2 USB 2.0 Ports (Not 3.0 Bummer). It does have 1 GBit LAN port. The Wireless Interface supports N Band network but still does not support 5 GHz network over N Band.This shows through the propensity of noise interference. Out of box, you have the Picturesque Launcher that is all to familiar across the Lollipop firmwares of various TV Boxes. One has to grant that its sure pretty, but gets clunky when you need to get to something pretty Quick. I chose to go with the TV Launcher shipped with the Nexus Player. You need to grab it from Play store and sideload. The box is rooted already so this should not be difficult. Speaking of Root, predictably SuperSU suggested updating dated binaries. One reboot later, we're back in business. When you turn on the Device, the picture is too zoomed in and you need to zoom out to get it back in the range of the TV. I have been using the MELE F10 Airmouse Remote with this box. Predictably it led to sound routing issues. The solution turned out to be simple. Enable Developer options and then turn off USB Sound Routing. Reboot and the problem goes away. I turned my attention to Kodi, which was predictably pre-installed. Turned out, that we have Kodi 16.0 Jarvis. This was a welcome surprise. I tested with my standard Addons of Hallmark and CNN along with Local Media Player. After I sync'd the Video library with my media server, the playback was pretty flawless. There was very little if any buffering for hallmark or ESPN, where I typically expected buffering to occur. Seems like Wireless performance is indeed better as promised in the firmware update. ES File Explorer suddenly threw a weird error when I was navigating to my rest of the Screenshots and upon reboot, I had lost ability to copy files out of the box with ES Explorer. Once I am able to pull the screens, I will post my thoughts on the Wireless Performance and AnTuTu Performance. For additional comments, you might want to see the Video Review. Last edited by Angryman22; 01-10-2016, 13:50.